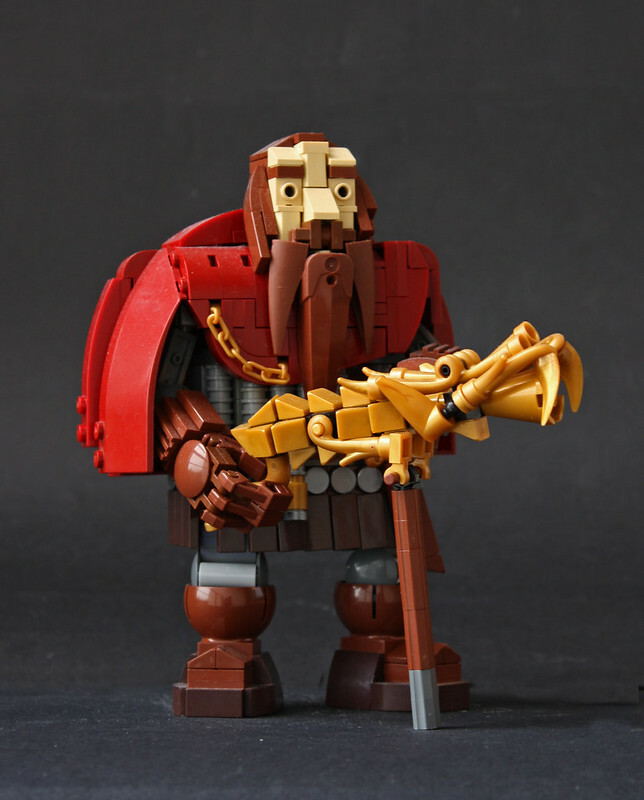 I've never heard of the game Battle for Wesnoth, but it was the inspiration of this excellent dwarf character by Pate-keetongu so it might be worth checking out. That dragon he's holding is called a Dragonstaff, an elaborately decorated and powerful weapon. Even if it wasn't capable of dropping an enemy, I might be tempted to carry one just because they look so cool.